Deval Patrick was in the the midst of the inaugural hoopla in Washington for his friend President Obama when he paused long enough to call me, looking to chat about the remainder of his term, which already promises drama on Beacon Hill. The governor, in his State of the Commonwealth speech last week, launched a campaign for an income tax hike that he said would lay the groundwork for a well-educated work force in Massachusetts. He also proposed cutting the sales tax while devoting the revenue it derives to a variety of needed transportation-related projects. He wants other tax changes as well, including a 1 percentage point increase in the income tax, a doubling of personal exemptions, and an end to many itemized deductions. He argues that the changes would make the tax code simpler and fairer. Patrick’s supporters cheered him for taking on the transportation funding morass, and said he was moving to cement his legacy. Skeptics noted that he was advocating perhaps the largest tax increase in state history, and predicted a quick death for much of the plan. Patrick brushed aside the notion of his personal legacy. 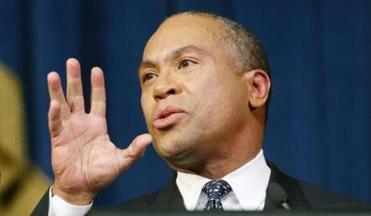 Will tax increases of the kind proposed by Governor Patrick help or hurt the local economy? Much like the federal tax debate, economists disagree. “I think the question isn’t my legacy, but the legacy of our generation to the next generation,” he said. He mentioned the “Greatest Generation” and ticked off some of its signature achievements, including the Marshall Plan to help rebuild Europe after World War II and the creation of the interstate highway system. This generation, he implied, should aim for something similar. Few would deny that transportation has been neglected. The massive debt load created by the Big Dig has essentially forestalled other investment, and closing the gap through MBTA fare and toll hikes is clearly not a long-term strategy. You get the feeling that Patrick has been frustrated for years by his inability to pay for the programs he really wants, the vision he sketched in his speeches. He is careful to recite the mantra that there is never a good time to raise taxes. But he has obviously decided, halfway through his self-proclaimed final term, that this is as good an opportunity as he is going to get. What his critics call overreaching, he typically sees as bold. “I could show you a much longer list than this of transportation projects from which these were selected,” he said. He might have proposed a long list of tax increases, too: an immediate hike in the gasoline tax was rejected as politically unfeasible. Not all the proposals will be welcomed. Fortunately, not all the ills Patrick hopes to tackle are as prosaic as better bus service to Pittsfield. In his speech last week, he talked of an inspiring trip he took to Orchard Gardens pilot school in Roxbury — a school that figures into his speeches with some regularity. He said he hopes to use some of the increased revenue to attack the achievement gap between white students and students of color. “I could take you and introduce you to third-grade students, trapped in underperforming schools in gateway communities, who are behind in reading,” Patrick said. To date, Patrick’s second term has been, to put it bluntly, rocky. The scandals in the state drug lab and the New England Compounding Center pharmacy have raised questions about just who is administering this administration. With this initiative, Patrick is seeking a return to his comfort zone: the inspirer-in-chief, the man who speaks of claiming our neighbor’s struggles as our own. Higher taxes, he argues, are a small price to pay for a government with vision. Whether Massachusetts agrees will become clear in fairly short order. “A real transformation would have been much larger than this,” Patrick said. Adrian Walker is a Globe columnist. He can be reached at walker@globe.com. Follow him on Twitter @ Adrian_Walker.